In this article you will learn how to configure your Excel workbook so that each user only have access to the sheets he's allowed to. The goal is to allow users to access a workbook using a password. Depeding on the permissions and access right the user possesses, he will be able to view or edit specific sheet(s) of the workbook. On the other hand, a admin password will give access to all the sheets. We will insert a UserForm that will be displayed when the file is opened. In this interface, we need two labels , two TextBox for entering the name and password and a CommandButton to validate the password. Display (only) the sheets for which the user has access and hide the others. Change the "caption" properties of the UserForm, the two labels and the CommandButton. Display *** that instead of characters entered in the password textbox. In the VBA editor, create your UserForm: Menu > Insert > UserForm. NB: If the toolbox does not appear by default: Menu: View, click "Toolbox". 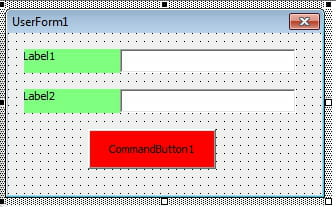 In the Userform, draw 2 labels (Label 1 and 2 - green), two text boxes and a command button (CommandButton - red ). You don't need to change the names of the control (Label, Label2, etc. UserForm. ), but you can set the colors and size of the controls. To avoid cluttering our Userform codes, we'll put in a standard module, the codes to verify the password and display the sheets. To do this: Menu > Insert > Module. 'si le mot de passe correspond à l'utilisateur. 'et qui renvoie VRAI ou FAUX (d'où la fonction déclarée As Boolean). 'Vous pouvez donc changer, dans chaque Case, les noms NOM1, NOM2 etc. MsgBox "Le nom d'utilisateur saisi n'existe pas. Merci de vérifier." Close the module window and lets get back to our UserForm. Any code placed between these two lines will run everytime you left-click on your button. 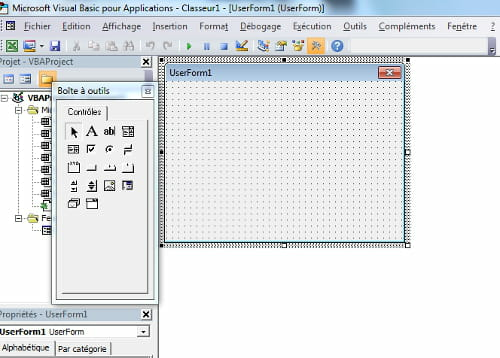 '- TextBox1 (transformé en majuscule) comme paramètre "utilisateur"
'- TextBox2 (transformé en majuscule) comme paramètre "MdP"
'A partir d'ici, le code ne se déroule que lorsque mdp et nom sont corrects. Me.Caption = "Saisie du Mot de Passe"
Label2.Caption = "Mot de Passe"
In the VBA editor, double-click on ThisWorkbook. Published by jak58. Latest update on July 25, 2013 at 07:02 AM by jak58. 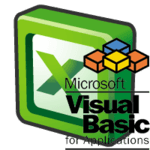 This document, titled "VBA Excel - Password and Users," is available under the Creative Commons license. Any copy, reuse, or modification of the content should be sufficiently credited to CCM (https://ccm.net/).